Android 5.1 comes with some nice performance/ram tweaks to make your Nexus device a bit faster plus cool features like drop-down WiFi/Bluetooth menus and more! *Note – This method works for all Nexus devices and also works for other versions of firmware such as KitKat. For people with a rooted Nexus device who want to update to Android 5.1 with root. For people who want Android 5.1 and root and have a custom ROM on rooted Nexus device. This method WILL NOT ERASE ANYTHING on your Nexus device. If you are already on a stock firmware/ROM, you can skip the “Wipe/Factory Reset” step in the video, it will simply upgrade you to latest Android 5.1 + root. If you are on custom ROM, you will probably have to do a “Wipe/Factory Reset” so backup your ROM and/or apps using Titanium Backup app FIRST! Before we begin, we assume you already have an unlocked bootloader on your Nexus device. If you don’t know what this is, you probably shouldn’t be following this tutorial. fastboot.zip – This contains all the fastboot files you need for all Windows, Mac, or Linux. You DO NOT NEED to download the whole Android SDK, we just saved you an hour downloading the SDK, this is ALL YOU NEED! Android USB Drivers – For Mac or Linux, YOU DO NOT NEED DRIVERS. For Windows, you will need Android USB drivers, please see video tutorial on how to install these drivers. 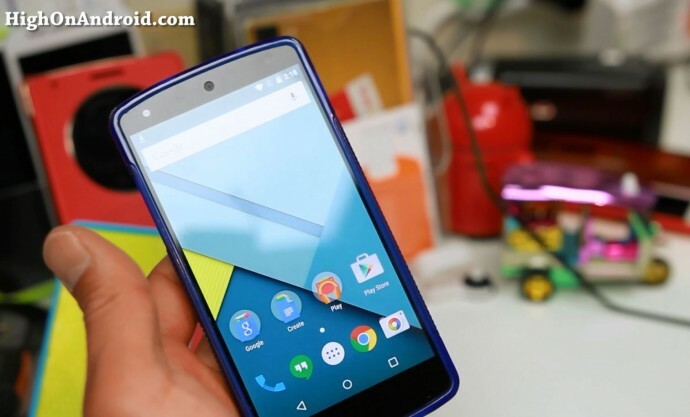 SuperSU – You will need this to root Android 5.1. NOTE: For Nexus 6, you will need to use this fix along with the below tutorial! Note – Some firmwares DO NOT have radio image file, then you can skip that step! I may have found the solution. Using the Nexus Root Toolkit, I went into Advanced Utilities and selected the System option under Fastboot Flash. My phone is rebooting right now and optimizing all the apps. Thanks man ill try that way! I did the steps above, nothing showed any errors, but SuperSU says I’m not rooted. What gives? Did the procedure and worked like a charm! Hi from Ukraine. I followed all the instructions in the video. File “system.img” established successfully. Stuck on the installation file UPDATE-SuperSU-v2.37 (I was on stock firmware and have no custom recovery so i couldn’t install this file). What should I do next to get Root on my Nexus 5, help me with advice please. I have failed to complete this tutorial, because I couldn’t installed the driver properly as it is shown in the image. Do you know how can get rid of this error shown in my device manager? Next story How to Root LG G Flex 2, G2, G3 on Lollipop! Previous story LG G Flex 2 Circle Case Review!